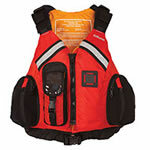 Clavey Paddlesports has life jackets specifically for the fisherman/fisherwoman: lots of bells and whistles, lots of pockets, outdoor colors and comfortable too. 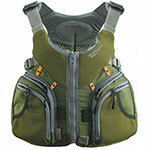 Brand names like Kokatat, Old Town and Stohlquist they feature at least 15 1/2 lbs of buoyancy and are certified by the US Coast Guard. 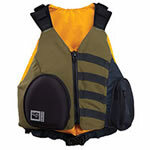 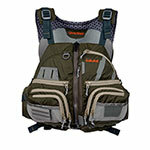 The best life jacket is the one that you’ll wear when you are on and around the water.